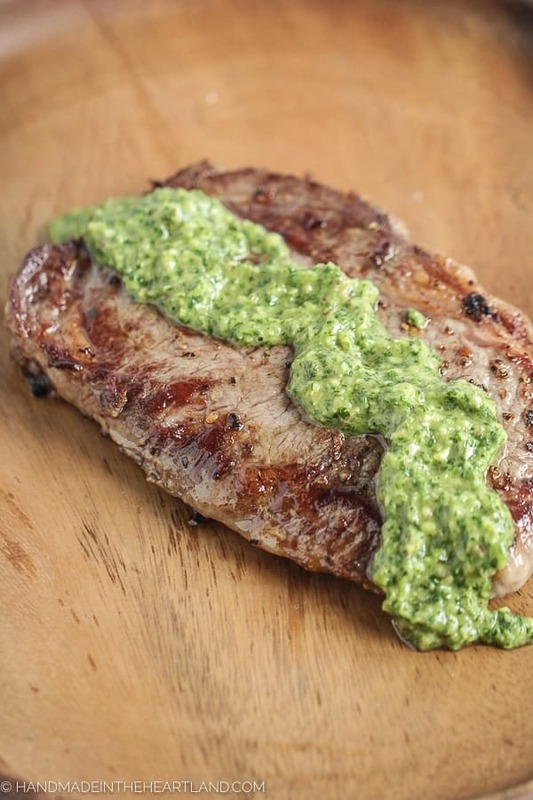 Father’s Day: Say Thanks With Steaks! 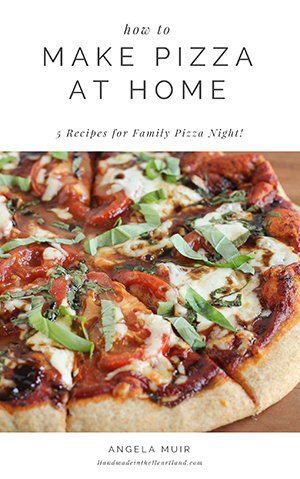 Home Recipes Main Dishes Father’s Day: Say Thanks With Steaks! Father’s day is NEXT Sunday! Can you believe that?! I’ve got the perfect quick and easy solution for your Father’s day gifts. 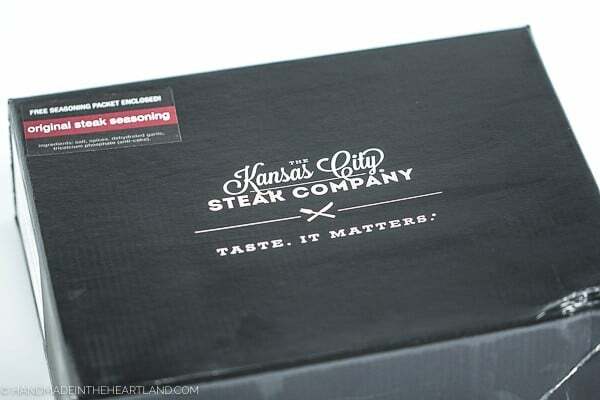 Kansas City Steak Co. sent me a Signature Gift Box Steak Combo to test for you all. (I’m happy to do taste testing on steak!) 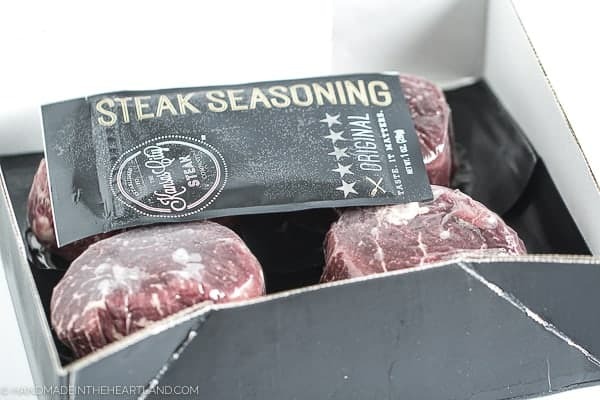 The result in my honest opinion is that this steak is so delicious, top quality and perfect for gifting. You may remember my post from December where I taught you how to cook the perfect steak. I still stand by all those tips and tricks for pan searing the best steak you’ve ever had! This strip steak was cooked with that exact method. This time I added a fresh chimichurri sauce over top and it was delicious! Men are the hardest people to shop for. My dad, grandpa, brother and even my husband tend to be the hardest people for me to think of gifts for. What do you think? I love the idea of sending a box of filet’s to my dad’s door for Father’s Day. It’s a great gift and it’s done with a few short clicks. If you are wondering how meat is shipped the meat arrives frozen in a cooler with dry ice. I have received Kansas City Steak Company steaks twice now and both shipments have been perfect. They are packaged so nicely that I totally feel comfortable have them delivered as a gift. Send the gift of good taste to your friends and family. 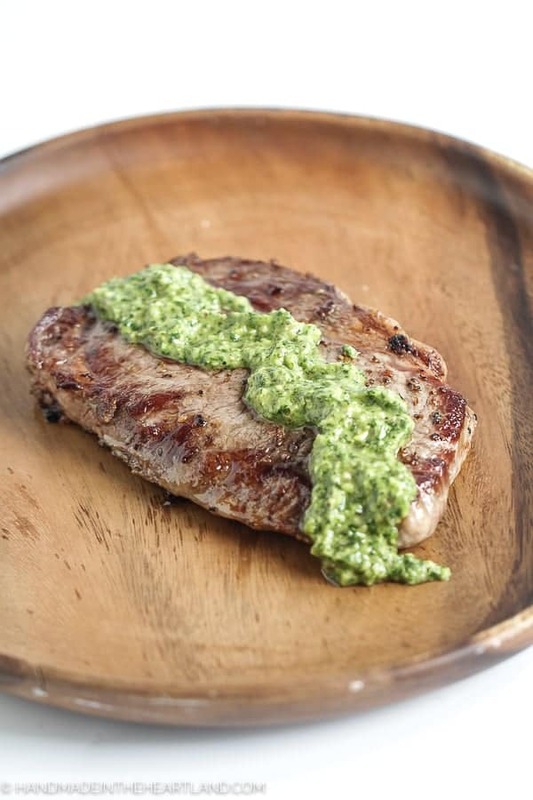 The Kansas City Steak Company is your go-to destination for quality steaks and other fine foods. Known for their gift giving solutions, Kansas City Steak delivers only the very best. Established on a standard of quality, Kansas City Steak Company has been providing gourmet steaks and other top-of-the-line beef cuts since 1932. 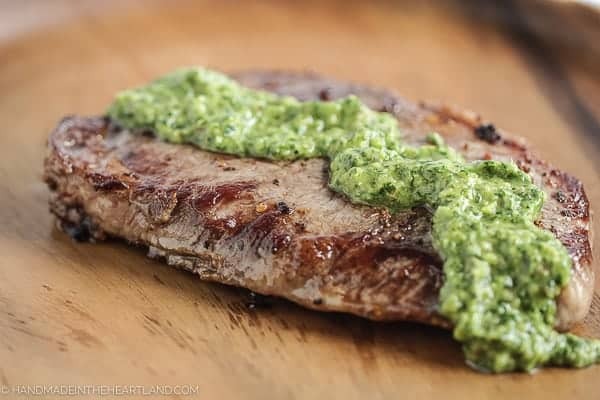 For this steak I used my friend Jocelyn’s chimichurri recipe, it was delicious! What’s your favorite recipe for steak? Do you grill them or pan-sear your meat?! Tell me in the comments!